Can you eat this dish ? Are you hungry ? Certainly no because we have money and if we get hungry we can easily buy something delicious to eat and a cup of juice or a cup of coffee as a beverage but , that is not the all ; we want to find a fabulous place to eat our meal ; choose nice tablewares and often find something interesting such as TV programme or a soothing music . It doesn’t matter whether the weather is hot or cold because our accommodation is equipped with amenities . Hello everyone ! How are you ? Today we are at centre of the city and we would like to interview the people about their daily meal but our purpose is not the sort of their meal and its ingredient because we intend to find our that how do they like to have a meal , Where do they like to serve their food and blah,blah,blah . Ok , our first interviewee is sitting on that bench under the shadow of a weeping willow . Let us go closer and ask few questions . Bill : Hello , can I ask you few questions please ? He : Hello , of course , I am listening . Which channel do you come from ? Bill : Channel 1 . We would like to know that how do you prefer to have a meal ? He : Well , as I am a sensitive person I love to serve my meal in a quite clean place , I like to eat a light meal because I hate putting on weight and … this . Bill : nice .. what about the place ? Where do you want to sit while having meal ? He : I am sociable person and I prefer to be with my friends , on that situation we can enjoy talking with each other . Usually we go to a Cafe and order our favourite dish . Bill : Thank you very much indeed . Have a nice day . He : Ok , your welcome . Well , dear viewers we walk to the the high street to talk with some people . Bill : Excuse-me sir , Can I ask you some questions ? pedestrian : Sorry .. I am in hurry . Bill : Excuse-me madam , can I ask you some questions please ? She : Certainly ; please . Bill : We are from channel 1 and we are making a programme about peoples’ eating habits ; would you please tell us that how do you like to serve your daily meal ? She : Ohhh .. channel 1 . We love Art and Life programme , we watch it everyday . Well … I like to be with my family and my children and in fact they decide about this matter however that we try to decide by collective decision . Bill : You look to be a kind mother with a leadership esprit but , could you please describe the place , atmosphere and other issue that are important for you while eating ? She : immm … We are an artistic family ; my husband is artist ; I am photographer and my children play musical instruments then , the ambiance of our house is fully artistic , our walls are full of drawings and photographs . Generally for me the beauty and look of the dish is very important and I try to make it beautifully and set the table in an artistic way . Our table is comprised of colourful dishes ; we never forget a flower especially the Rose one . We often eat our meal at home while listening to Beethoven masterpieces . Bill : Thank you madam , you have so respectable spirit . I wish you the best . She : Thank you , can you tell me what time will you show this programme ? Bill : Next Monday , 10 p.m . Bye . Ok dear friends , it starts raining and we should find safe place to avoid getting cold the rest of the programme will be with our corespondent in one of African towns , Haiti . Hello George , start your talking with African people there . Hello Bill , unlike there , here in Haiti we experience really hot day however his kind of the weather is really strange for me but it is typical weather of this region and people have to cope with it . Today we are in the centre of Haiti but I think we can’t compare it even with the shanty town in the worst areas of my home city . Anyway , there is young boy working in a shop , come to have a chat with him . George : Hello , how are you ? , are you working here ? He : Hello , fine , thanks and you ? , take a sit please , yes I am working as apprentice here . George : We are making a programme for channel 1 , do you know it ? He : No .. we don’t have TV . George : Ohhh .. its incredible . Well , I would like to ask few questions about eating manner and about the matter that how do you prefer to have your daily meal ? He : Immmm … Here we suffer from hunger and we can’t have all meals regularly and if we find something to eat , every place can be a paradise for us because a hungry person just wants to eat something and it doesn’t matter where it is . George : Ok , that is really miserable , I hope it get better soonly . He : Thank you too , bye . Ohhhhh , it can be deplorable , while our concern is eating ambiance others are looking for something to eat . ok there is cake shop there , it can have delicious cakes , lets go there and have a snack . George : Hello , how much are these cakes ? He : 20 cents . George : give us 3 please , it must be delicious . Now I support the thinking of the guy we met recently . Really this can be the most delicious dish I have ever experienced because I am hungry . He : Here please , 60 cents . George : Here . ( After a bite ) Offfffffff , what is it ? Excuse-me could you please tell me the ingredient of this rubbish ? He : Certainly , mud , oil and salt . George : What ? Did I hear right ? You use mud instead of wheat in this cake ? Aren’t you human . 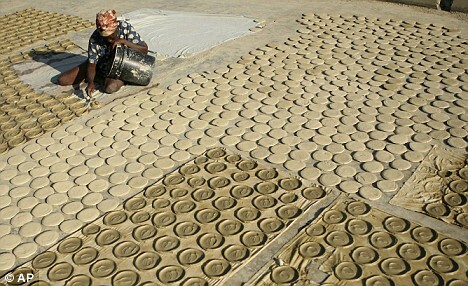 He : Ahhh .. We are human like you , like everyone else but , We don’t have enough money and we have to use mud and soil in our cakes . What can we do instead of it ? We don’t have better way to satiate ourselves . Now I ask you and everyone for help . Please help us . Imagine we are your siblings . We are human . We want to live in this world like you . Please ! George : Ohhhhhh .. What can I say ? I am really appalled and regretful . Just judge please ! and help . Until next programme . Bye . 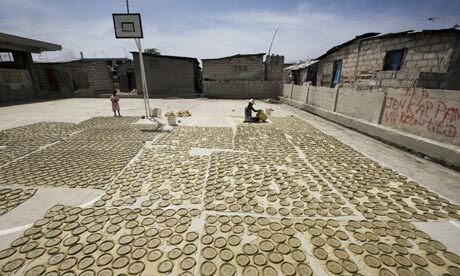 Mud cakes become staple diet as cost of food soars beyond a family’s reach in Haiti . 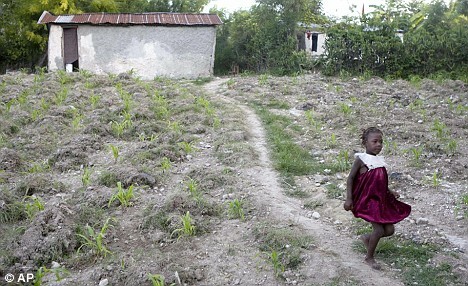 This entry was posted in Peace Archieve and tagged mud cake - mud dish - Haiti -. Bookmark the permalink. ← WE MAKE AN IDEAL WORLD .